Getaways to exotic islands and beautiful beaches are dream vacations for most of us. We’d usually expect to see unusual animals and fishes in these islands, but would you visit one populated by wild horses? 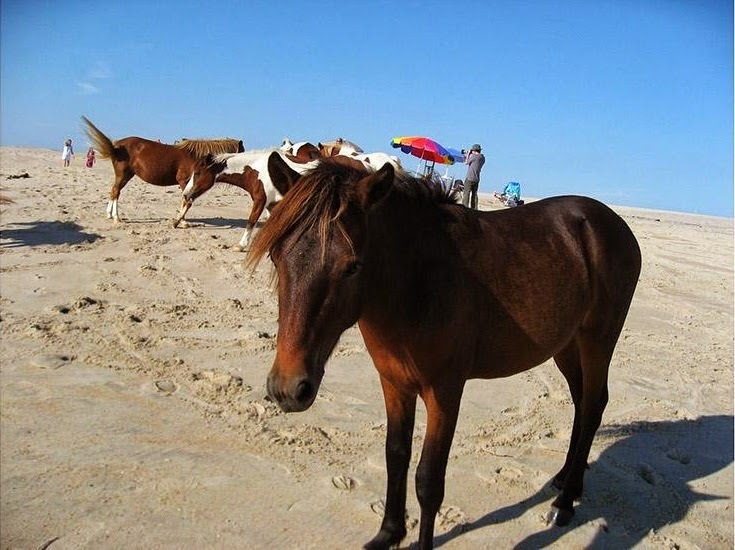 Assateague Island, found somewhere near Virginia and Maryland, is a 60-km long beach destination frequented by many tourists during the summer. However, you can expect to see more than just sand and sea in this small island, as there are about 300 feral horses roaming freely around the island. These horses are so used to seeing humans that they would just walk in to any crowded beach and campsites. The horses would even sunbathe together with people on the beaches. They do have a tendency to rummage through baskets and coolers looking for food though, but the tourists don’t really mind them and would just shoo them away. It’s said that these horses came from a Spanish ship which was transporting horses and sank near the island around 400 years ago. 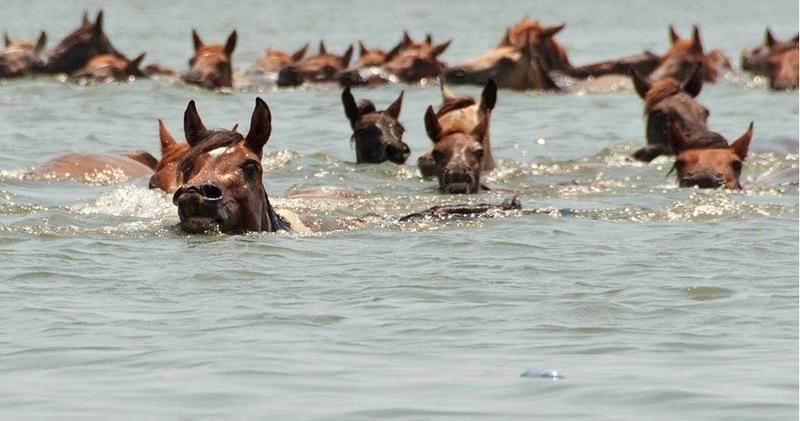 The horses swam to shore and populated the island since. Due to the overpopulation of the horses, the whole herd is divided into half and some of them are auctioned off every year. The island was made into a national park during the 60’s. The northern side belongs to the state of Maryland, which includes a majority of the Assateague State Park and Assateague Island National Seashore. The southern area is under Virginia and has the Chincoteague National Wildlife Refuge.